Charan-Boyapati film for Dasara, 2018? 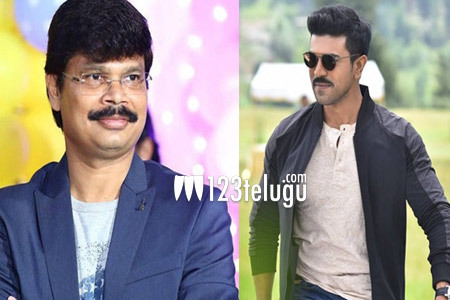 The latest hot news in Tollywood is the coming together of Ram Charan and mass action entertainers’ specialist Boyapati Srinu for the first time. Senior producer DVV Danayya will be bankrolling this crazy project. The ongoing buzz reveals that this as-yet-untitled movie will be launched formally in December and that the regular shooting will kick-start immediately. Apparently, the makers are planning to release the movie for Dasara 2018. We will have to wait for an official announcement in this regard. Stay tuned for more updates.